Blaze is famous for building high-quality grills made to last for years to come. Just because the grill will last a long time with proper care doesn’t mean that parts won’t need to be replaced from time to time. Blaze replacement parts and grill parts are great investments to keep your grill in top shape at a fraction of the cost of a new grill. This could be conversion kits, replacing a knob, or adding a warming rack. 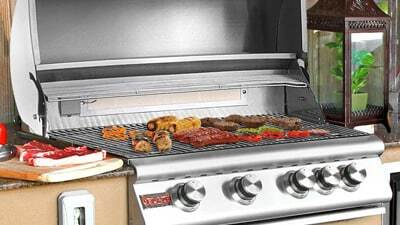 We carry original parts for Blaze grills to make sure you can fully enjoy your grill for a long time. If you have any questions or need help finding the right parts that are compatible with your Blaze, our experts here at BBQGuys are here to help. Contact us at 877-743-2269 or chat with us online and we will help make sure your grill continues to deliver the performance you expect from a Blaze grill.